Hi Friends! 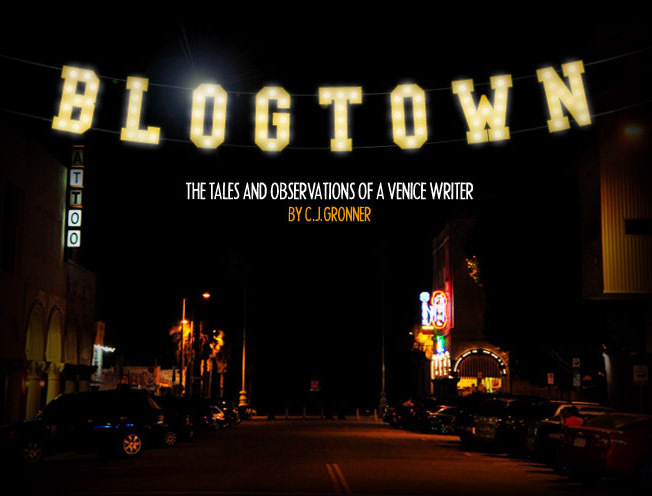 My life is utter mayhem at the moment, and I can't even write anything without first thanking the remarkable folks that have stepped up lately and shown me that they love and care. I've had messages from people I've never met or even heard of, offering me ideas about new places, work opportunities, a spare house or couch, and above all, true friendship - whether we know each other in real life or not. I'm overwhelmed with gratitude to any and all that have reached out in any way. Gratitude is the very best way to deal with situations like this, I'm realizing. Big things don't seem as hard when you're grateful for the little things. So, honestly and from the very depths of my heart - THANK YOU. Because of you all, I know that things are actually going to be even better than before - which after the last year, shouldn't be hard. I'm staying with dear friends at the moment, and while they're in Venice, it's a different neighborhood, and thus a different walking route for me. 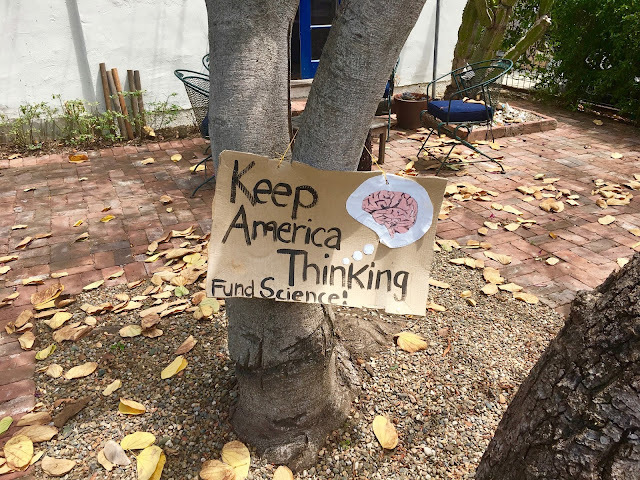 Today when I was heading down Angelus Place, I saw this great sign, requesting that we "Keep America Thinking - Fund Science". While lately I'm probably thinking too much, I can still get all the way behind this sentiment. When you have a President who appears to be dumber than an actual box of rocks, this idea of THINKING is paramount to our country's survival. I just read that Volvo is now the first major car company that will stop making cars that use gas. While this should have been done decades ago, it's a wonderful start ... which I imagine came about due to some good, old-fashioned, head-scratching thinking. *As I'm thinking about all of you dear readers with complete love and fierce gratitude. Please keep the good ideas coming ... I promise it will all come back to you. Karma is real.